This recipe is a keeper. While I don't think the flavor profile is quite perfect, it was a great way to serve zucchini. Sometimes when it comes to this summer vegetable, I resort to the same old same old. These zucchini sticks mixed it up just enough. I ate almost the entire recipe myself for lunch if that says anything! I do think that I would swap out the chili powder and use paprika like I did in the Parmesan Chicken Cutlets. I also would probably just coat them in 1 teaspoon of olive oil and not the egg. Just my two cents. Those small changes would probably make these just perfect. The original recipe can be found on page : 100 Favorite Weight Watchers Recipes. Preheat oven to 400 degrees and coat a baking sheet with nonstick spray. 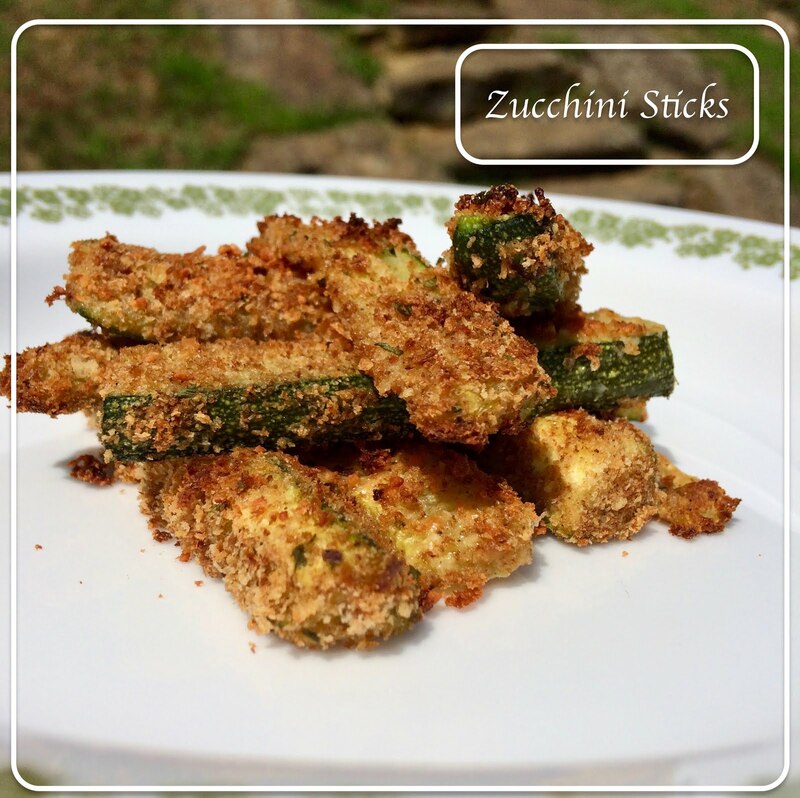 Cut zucchini into sticks. Coat with egg white. Shake salt, pepper and chili powder onto zucchini. Stir well. Put bread crumbs in a baggie. Put zucchini sticks in baggie, a few at a time and coat with bread crumbs. Lay flat on baking sheet and sprinkle with parmesan. Bake for 20 minutes. Broil for two minute to make crispy. All nutrition information is approximate and calculated using caloriecount.com. I bet a little garlic powder would be good to add. Not a bad idea! Let me know if you try it!